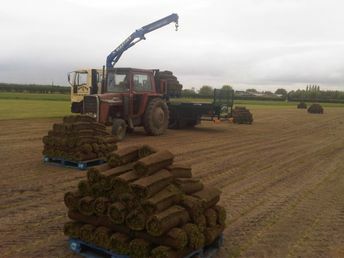 Customers can collect turf direct from the farm. 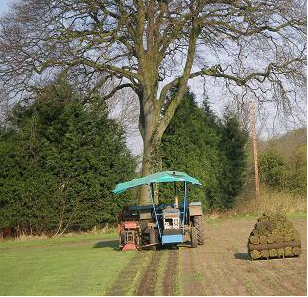 However, we do suggest that you phone or send an e-mail before you come to the farm to check turf availability and whether your vehicle is suitable to carry the amount of turf you require. We deliver throughout Merseyside, the Northwest, Wirral, Manchester and North Wales. When you have decided on the area you need to cover, then phone, fax or send an e-mail and we will be pleased to offer advice and our earliest delivery day. You will also receive a turf laying leaflet with every order.